Unlimited Access are in the fortunate position of being able to employ some of the leading experts in specific fields. These aren't just names & faces: they are individuals with proven experience & ability who know their trade inside & out. Alex is the new kid on the block: IRATA Level 1, experienced tree surgeon/tree climber & arborist, and the fit & keen young cave explorer who is forced to carry the heaviest bags on expedition by his elders! Chris is an IRATA Level 3 Supervisor who started out as a bricklayer. Since then he's worked in many sectors & is our primary wind turbine specialist. Nick is an ex-Royal Marine Commando-turned industrial climber & is our IRATA Level 3 Supervisor who specialises in Inspection services (NDT, MPI, UT etc..). Ian is our secret weapon in confined spaces; he's a seasoned cave explorer, an IRATA Level 1, an Advanced First Aider for Cave Rescue, and a fully qualified Geo-Environmental Consultant. Apart from that he's a serious mountain marathon runner & mountain biker. Robin is our medical advisor. 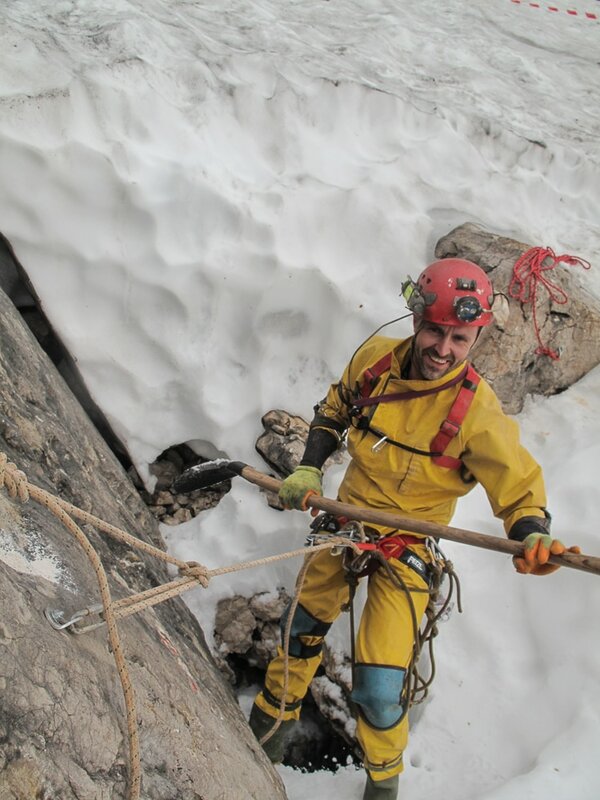 He works as a paramedic for the Welsh Ambulance Service, is a member of the Brecon Mountain Rescue Team, is a WEMSI Wilderness Emergency Medical Technician (W-EMT), and has spent many years working as an expedition medic & guide all around the world. Mike is our fully qualified & highly experienced tree surgeon, tree climber, and all-round arborist. He's also a keen rock climber, mountaineer, ice climber & motorbike fanatic.